Despite the company’s enviable reputation, ahead of NAMM 2019, few would have expected Northern Irish acoustic maker Lowden to be responsible for the biggest story of the show. Then on the Wednesday evening, Lowden gathered a small group of journalists and retailers, brought out the biggest pop star on the planet… and broke the internet. Are we a quarter of the way into 2019 already? It only seems like a few days ago that we were heading out to the NAMM Show in California to see what the guitar industry had in store for us during the year ahead. You can find a sparkling array of new gear from the show floor over at Guitar.com and in this month’s magazine, we put some of it through its paces. 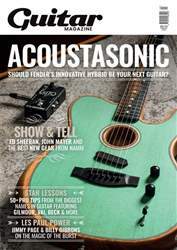 Resplendent on the cover, the headline act is Fender’s bold new hybrid, the American Acoustasonic Telecaster. With a broad palette of vivid acoustic and electric-guitar tones on offer, the Acoustasonic might open a few musical doors and allow you to get away with taking one less guitar to the gig. In this month’s reviews section you can read our in-depth review and check out even more hot new gear from the likes of Blackstar, Orange, EarthQuaker Devices, Electro-Harmonix and more. The show itself was the most positive we’ve attended in many years. Not only did Gibson return to Anaheim in force, but perhaps the biggest story of NAMM 2019 originated in Northern Ireland with the news that George Lowden has teamed up with the biggest pop star in the world right now to launch a new range of affordable acoustics. 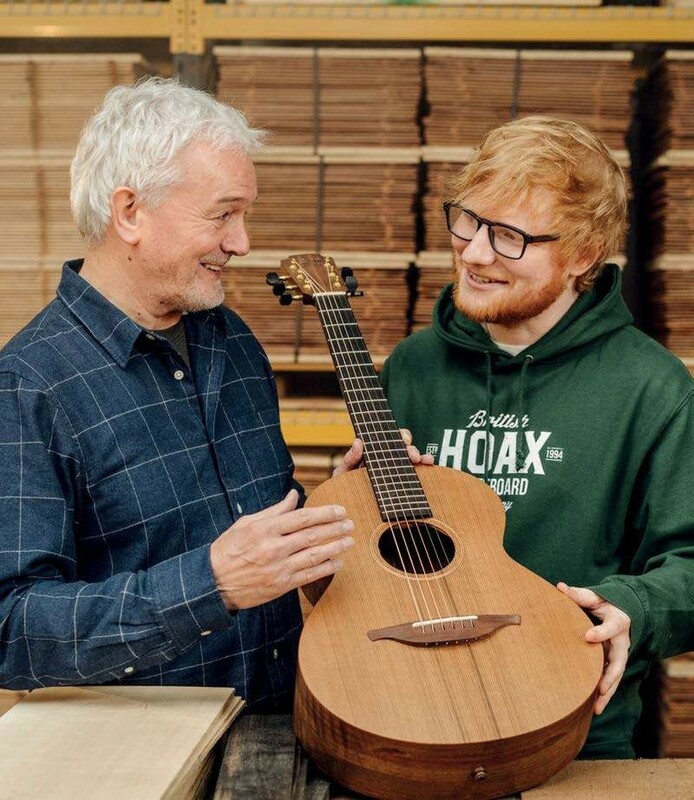 The Sheeran by Lowden instruments are set to be manufactured in Downpatrick (just like Lowden’s wonderful high-end guitars) and their development has been a real labour of love for Ed and George. Find out what they had to say about the process in this month’s mag, where they join Gibson CEO JC Curleigh and John Mayer in our round-up of conversations from the Anaheim show. While we’re in name-dropping mode, fans of Les Pauls are particularly well served this month. The Collection features jaw-dropping images of what might have been the very first Burst to arrive on UK shores back in the early 1960s, while elsewhere, Tony Bacon charts the history of Gibson’s finest solidbody with contributions from bona-fide rock legends Jimmy Page and Billy Gibbons. Enjoy the issue!